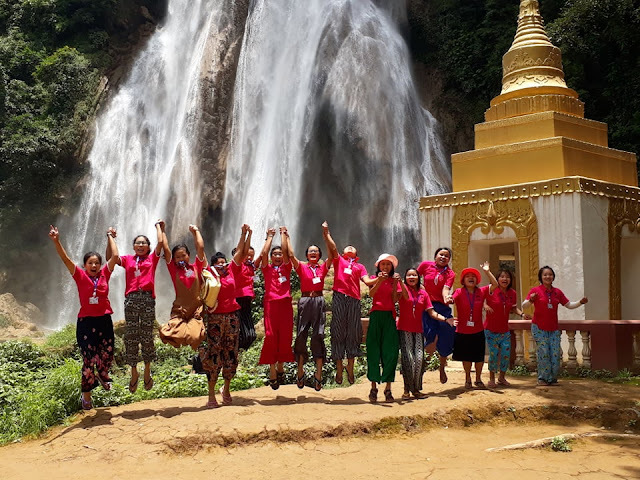 The Salesian Sisters of Myanmar organized an experience of vocation animation, Come and See program in Mornese, St. Mary Domenica Mazzarello Community, Anisakan with the theme “Joy is saying YES!” from 2-7th July 2018. 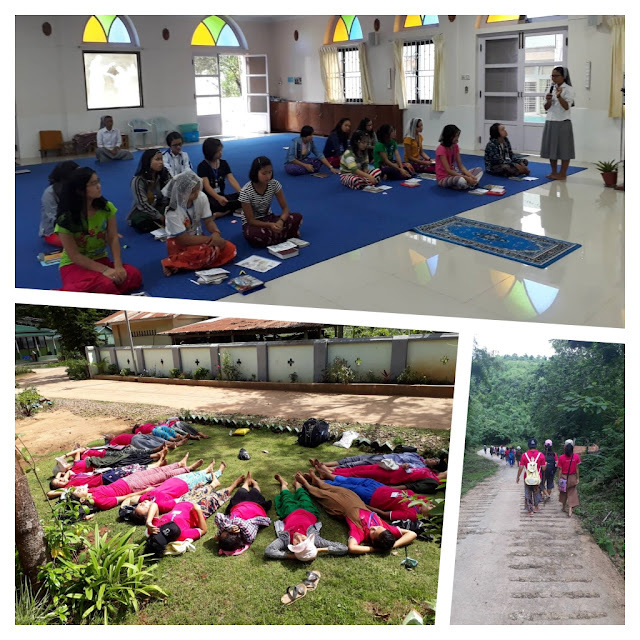 The ten participants are from Don Bosco Vocational Training Center of Chanthagon, Bl. Laura Vicuna Community, one past pupil from Mandalay, three observers and an aspirant from Anisakan Community. 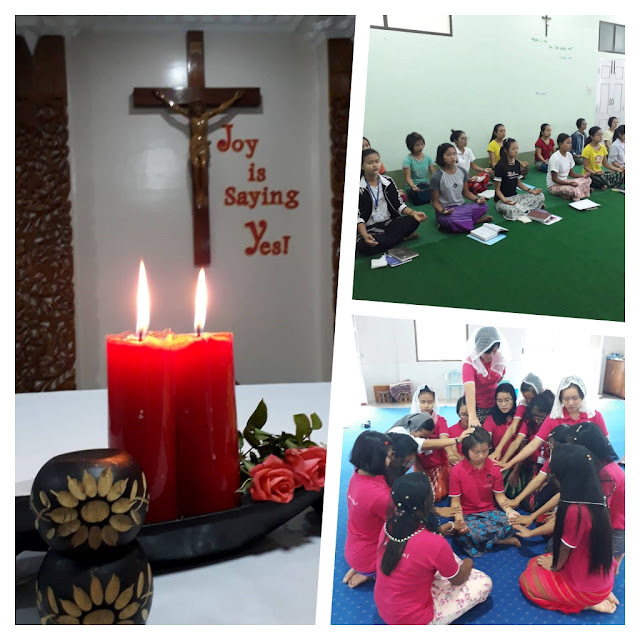 The Sisters animated the different activities: daily morning meditation on the Word of God, short inputs - the Vocations in the Scriptures, life of Don Bosco and Mother Mazzarello, Salesian Spirituality, Salesian Style of Animation, Discernment, Salesian Mission. Aside from the inputs, a well-animated rosary and adoration, personal reflection and group sharing, reception of the Sacrament of Reconciliation, visiting to the different places where nature expresses God’s great love, visiting and distributing the love parcels to the poor families around Anisakan, personal encounter with the Sisters and good night talk on the vocation stories of junior and young senior Sisters and lastly film viewing through which the young women are helped to reflect on themselves and God’s call for them to live a life of love and of sharing with joy. 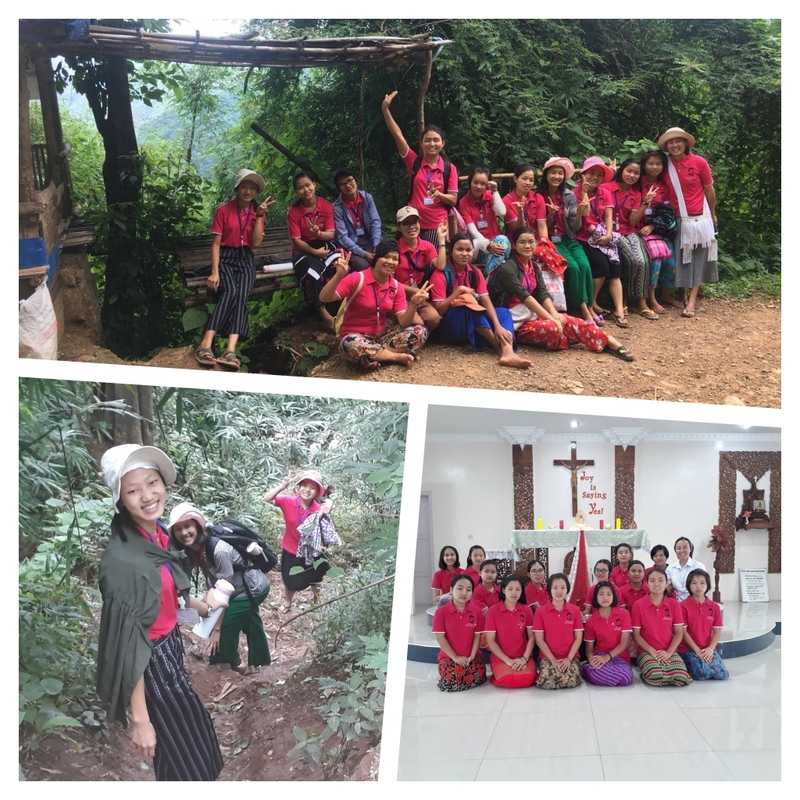 The different life experiences that the Sisters offered them had touched and helped them to encounter themselves, the poor and especially God who loves them personally and wants them to share His love with the vocation they have chosen in life. They were all joyful and enthusiastic to go back to their respective places for they have experienced God’s loving forgiveness and they were able to accept and forgive themselves and others. Many of them expressed their desire to follow Jesus in Salesian way after their university studies. We thank God for this grace of accompanying many generous women and we continue to accompany them with our prayers that they may be courageous and constant in their desire to share God’s love to the needy ones.